We frequently think of caution in terms of avoiding dangerous behaviors which may lead to injury or death. Some proceed with caution on the internet fearing identity theft or credit card theft. Some humans are more cautious and fearful than others and are not impulsively friendly but choose to approach relationships conservatively and with great caution fearing to get hurt or being taken advantage of. Some business humans are more cautious than others and fear making new decisions about a business out of a fear of change for the worst and lower or no profits. Impulsive decisions in life are made by many. Those who can stop and conscientiously think of and plan for the future can have a considerable advantage over one who does not collect all the necessary information first. The latter frequently proceeds impulsively to lead life without thinking much about the consequences of their future actions. Some take big risks in life but there are the smart risk takers and the rather inept ones. Having great knowledge about customers and finance, many useful skills such as human managerial skills, and doing conscientious planning ahead can all make the difference between a successful enterprise and a failed one. There are many cautious humans impulsively guided by fear from past failures and bad experiences who don’t really learn much from them and their future actions are more inhibited than they should be. Then there are the cautious humans who learn from their past mistakes and bad experiences and make conscientious plans for the future. The latter frequently have a plan B and plan C in mind if plan A fails. 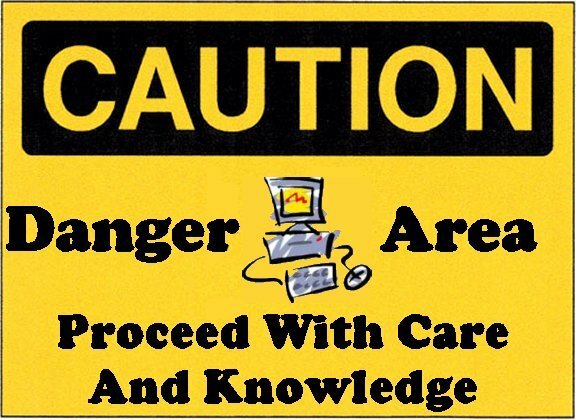 This entry was posted in business, common sense, education, science, society and tagged business, caution, common sense, education, failures, fear, mistakes, science, society, the truth about caution, truth on May 8, 2014 by uldissprogis. Scratch my back and I will scratch yours or do me a favor and I will do you one is a very human reaction. If someone helps you there is a tendency to want to help them also. Unfortunately in politics this leads to corruption with lobbyists giving money to politicians and they pass special interest legislation benefiting those special interests at the expense of everyone else. Money is being stolen from every tax payer to benefit the few powerful money interests and the disparity in wealth gets greater with each passing year. Laws should be passed to benefit the general welfare but in fact much of the time the selected few or big money benefits. This political activity is really an accepted form of bribery in the nation and it is unjust. If the jury was bribed to pass a verdict favoring the guilty we would all consider it a form of grave injustice yet politicians get a green light for their briberous behavior. 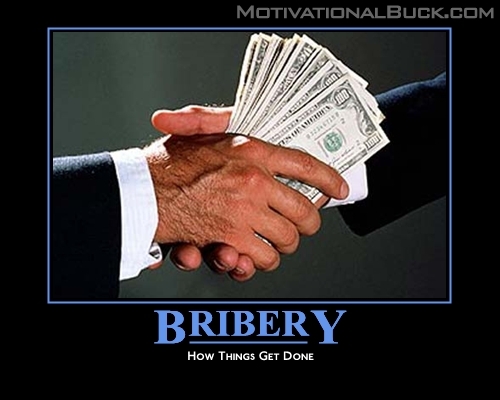 Bribery frequently exists behind closed doors or it is done in secret and sometimes big brand names of huge conglomerates bribe store owners and encourage them monetarily to place their products on the shelves and not competitor brands. One way in which outright bribery is prevented is that they buy up the competing brands and create a monopoly for their products. Recently I noticed that Walmart withdrew its competing cereal brand from the shelves and only big brand name products are being sold. Whether they were bribed or bought out is a big question mark but choice in products has been reduced to the detriment of everyone. This entry was posted in common sense, education, justice, money, science, society and tagged bribery, common sense, education, justice, money, monopolies, science, society, the truth about bribery, truth on May 8, 2014 by uldissprogis.